Immerse yourself in three separate spray functions with this Beldray Shower Set. Whether you are after a quick wash or a deep cleanse; set to Spray, Massage or the Spray Massage function for a thoroughly enjoyable showering experience. Simple and straightforward to use, and designed to the highest standards, this shower set is wonderfully easy to install. With a stylish stainless steel chrome finish, it will be a perfect addition to any bathroom. With Spray, Massage and Spray Massage functions this Beldray 3-Function shower set is ideal for a thoroughly enjoyable, deep cleanse. The set prides on being incredibly easy to install, remove and clean, so you can keep your shower spotless and free of grime and dirt. 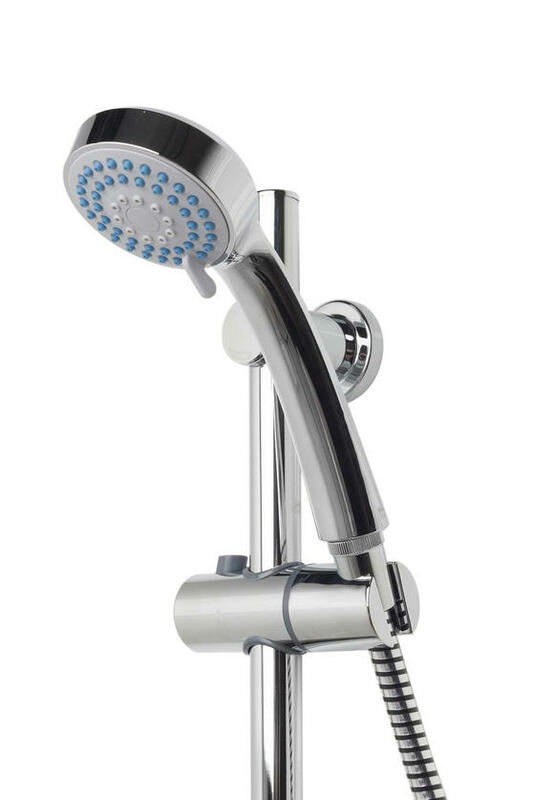 The easily adjustable sliding bar allows the showerhead to be firmly held at any height, perfect for the family or avoiding wet hair. The 1.5m hose has 11.6mm seal depth and 24.8mm internal dimension - but the set comes with additional seals that will fit most hoses. 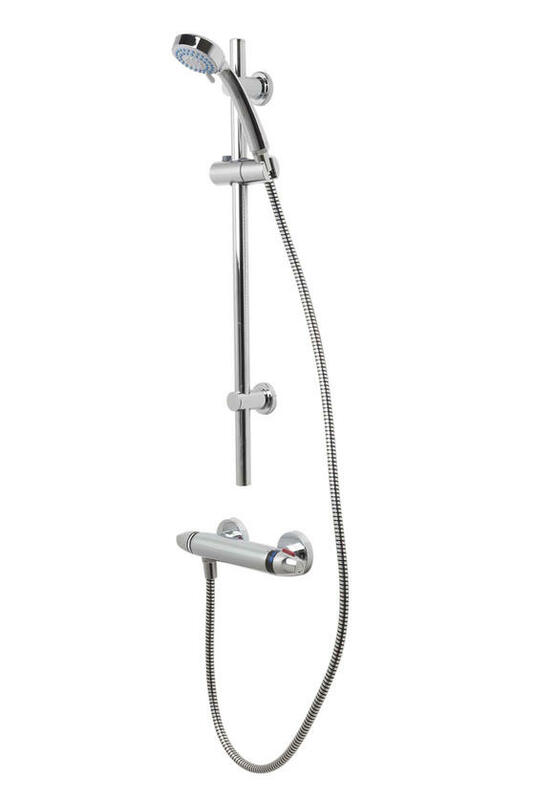 With a stylish stainless steel chrome finish, the Beldray 3-Function Shower Set will be a perfect addition to any bathroom.